Rally Portugal runs from April 3-April 6. 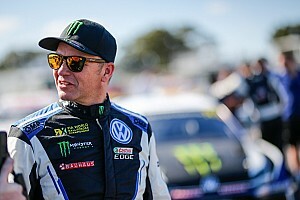 Andreas, it was exactly one year ago that you competed in your first WRC event with Volkswagen Motorsport. How has the first year with the team been and how do you assess your performance over that time? I must say it’s nice to be back where the whole thing started. For sure, it’s been a good year getting most of the kilometres done in each rally. Last year was about learning and getting experience. This year and at the end of last year I try to push a bit more and show more speed. We have been able to do this with the second [position] in Sweden, but it didn’t go so well in Mexico. I hope to do better here. Mexico was a difficult event for you, have you analysed what went wrong? Yeah, it’s not so difficult: it was two mistakes on the recce. The driving felt nice and tidy, but it’s about paying extra attention on the recce. I was doing that on the recce here, but I decided to make new notes this year and it was tough in the rain – I’m not so sure if that was good idea! When your wipers are not quick enough to clear the water then it's a tough recce! Why is this event so tough? There are so many crests, it’s so blind. It’s so easy to misjudge a crest, especially if it is raining – that is so difficult in places. It’ll be interesting to see what [weather] we get on the rally. Still a lot can happen. Mads, you always seem to go well on these events with very tough conditions – why is that? I don’t know. When the conditions are difficult like we have seen before then it’s normal to do a few mistakes. This isn’t maybe to go off, but to miss braking points or miss the line. You need to be able to drive quite clean and I can normally stay out of trouble – that’s the key thing when the conditions are difficult. This event is noted in history as your first ever WRC win, but it was an inherited one. Does that give you more motivation to achieve a win, here in particular? Yeah for sure. But I’m always very motivated to win rallies and I’m in a good position to do that quite soon. I still feel quite fresh in the team and I need to settle down a bit more before we aim to win from the first to the last stage. We will not do that this weekend. We will try to start where we finished off in Mexico. But not crazy. Okay, it was crazy in Mexico for one corner, but I want a clean rally here. Bearing that in mind, what is a good result? If I am in the position to fight for the win I will do it, but at the moment I’m not willing to take the risks to win the rally. I am willing to take risks and do what I can to be on the podium. Are you confident in your pace notes? No. We didn’t see the stages yesterday; we saw the wipers and just... rain. It’s so difficult to make the notes and correct them on the second pass through. When you have water running down the road and you are always driving through a river, you do not have the information you need. Normally you can see some lines and see the stones in the line, but yesterday it was impossible to see any of that. You just have to use your eyes. This is your fourth rally with a new team. How do you think it is working? Are you moving forward with some fresh ideas? Yes, for sure. I’m very happy with the team and the way we are working. They have ideas and I have ideas and we are trying to make them fit together. So far our ideas are working in different directions to see which line we take. But this time we are in the same direction, set-up and driving style wise. It already feels comfortable for me. It’s brand new for me and not something I am used to – I hope we can make it work. If we are fast from the start then it’s going to be easy for me to make it work on the stages. Elfyn, you come to Portugal on the back of your best result in the WRC with fourth position overall in Mexico. This is the first event this season that you have previous experience of, does that give you a bit more confidence? For sure, the two previous times I’ve been here in Portugal we have seen massively different conditions on the event. The first time there was a lot of rain and last year it was perfect, so we’ve seen both ends of scale. I hope it’s more towards the better side this time. How difficult was it making notes? It’s not easy. We had notes from last year for half the rally and this was a big help with the conditions being very difficult. But you can’t be 100 per cent sure of the new notes, which is why the first pass will be a bit of a high-speed recce. Now that we head into the fourth round of the season how would you assess your performance so far in a WRC car? Do you feel that you now ‘know’ the Fiesta WRC? There have been ups and downs; good parts and some parts with still some improvements. Everything still feels new. The car is exceptional and getting used to the car is the main thing. As long as I keep improving then I will be happy. What is the objective here? Now that you are on an event you know will that change your approach at all? I won’t take massive risks, but there will be a time when I need to learn to go faster and if it feels right we’ll do that this weekend. Dani, we see you back with Hyundai Motorsport for your first event on gravel with the i20. You tested before the event, were you happy with the results? I feel confident in the test. 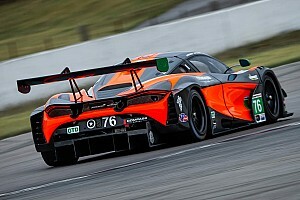 From the test I was really happy with the car and the chassis. In Fafe [Rally Sprint] also the feel for the car was good. I think for tomorrow, the conditions are really tricky, but the stages are still nice. You competed at the WRC Fafe Rally Sprint this past weekend, taking third position overall. How was the experience? Incredible. Now it’s like the Rally Sprint is like a party for everybody! There are a lot of people coming from the north of Spain – everywhere in Spain – and from Portugal. They all come in their 4x4s and on their motorbikes, sleeping in the stage overnight and having a good party. It’s great for the spectators and for the fans, it’s also a great organisation and a nice sensation when you are driving through the stage. What’s the secret to getting this event right? I don’t know. Last year I hit a tree! You mentioned it before Andreas, there are a lot of crests and the grip changes so much when it is completely damp. When it’s dry, it’s good grip. It’s difficult to take the speed when the conditions are changing. But when you see the stages like yesterday in the recce I don’t know if I will arrive at the end – it’s so slippery. But the stages can be good. We need to drive as fast as possible and we will see what happens at the end. How many more events will we see you on? I don’t know. This was like a present – I am [doing] the four asphalt rallies. I am happy now. I have the opportunity on gravel to compete with the others. I am really motivated for this event, if we do a good result, maybe we can do more. 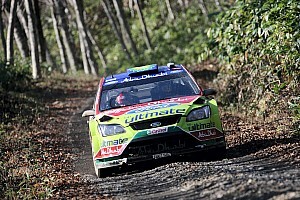 Nasser, a return to the WRC but this year it is in the WRC 2 Championship category. Why did you choose this Championship? It’s nice to be here in Portugal rally. WRC 2 has a lot of good drivers, but okay I couldn’t go with the WRC because I have a lot of programmes [this year]. I am doing cross country and Middle East [Rally Championship] but thanks for the sponsor – he pushed me to be in the WRC at least and we chose WRC 2. You have a wealth of experience; I presume the objective would be to go for the title in WRC 2? Yes. We do seven events from this rally. We are quite happy and we have a good chance to fight for the Championship. The first thing we must do is really enjoy the Championship. I know there are a lot of good and young drivers, but you also need experience of this kind of racing – Portugal is not an easy race. It’s very hard and for the last two days it was raining like hell and the road has completely changed. 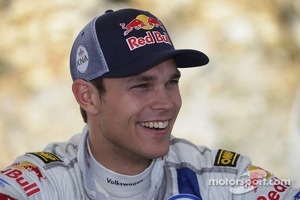 I am happy to be here, for the last two years I was top five in the WRC. We will enjoy this a lot. This event is always a challenge and the weather conditions have been difficult on the recce. How tough will it be this weekend? Bernardo, maybe you’d like to tell us about that? Nasser, what else is tough about this event? The conditions will not be easy, but from today if it’s sunny then it will be dry. Some places will still be slippery, but we must be clever to make the good race and no mistakes – like I did for the last two years. Bernardo, welcome back to the WRC! You have taken a break from rallying but we see you now compete in WRC 2 this season. How much have you missed this? The last time was 2011 with the Spanish rally, it was a long time ago. It’s very good to be back and happily I will stay for a long time. The plan is WRC 2, but we are still waiting for some answers from sponsors. A good result here can open some doors, but we are not 100 per cent sure we will do [the whole season]. 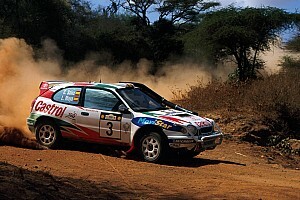 WRC and especially WRC 2 is a World Rally Championship first of all. It’s the main event, the world cup. This is the correct way to do it to try and achieve the works team. Of course it’s not easy, there are plenty of good drivers. I know the drivers and many events, except Poland. Okay, some stages will be new or different, but I know more or less the events and how I should manage the rally from the world championship. That’s the main reason why I chose WRC 2. Is there more pressure for a home event? From one side it’s easy: you are at home, it’s your language and roads. But, for example, the public will ask me more and want me to win. But I know I have been away from the WRC since 2011 and I know this is a hard event. The rhythm from the other guys is very high – they have done something like 1000 kilometres of testing and rallying. I will have to be smart and find my rhythm and start growing up with experience again. What have you been doing when not competing? In 2012 I was working with Lotus, but unfortunately this stopped. Then in 2013 I did the Portuguese Championship until the last event, then we lost the Championship. I know the speed was there, so I had not completely stopped [in rallying]. 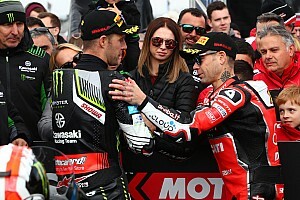 But it was not the same as WRC; there was maybe 100 kilometres instead of 350 kilometres and here there are 10 or 15 drivers competing at the same level. The competition is higher in the WRC. Maybe I will be a step behind on day one, but on day two or three I will find some time and give some headaches to my friends. Are you ready for the challenge of the WRC 2? I am ready, more than motivated. Molly, we see you compete this year in the Junior WRC Championship in the Citroen DS3 R3 - why did you choose this programme for 2014? I’m incredibly excited to be here. This is the ideal spot for the young drivers. We’re all competing in exactly the same car. This is everything the young drivers want, to be in the same cars and getting experience of the World Rally Championship – that’s where we are all aspiring to be. This is the first stepping stone for me. This year your mother is alongside you as a co-driver, normally we would ask how the ‘relationship is working’ but I presume it’s a good one! It’s quite funny. We didn't seriously discuss this until a few months ago, but for me it’s great. I have learned a lot from mom growing up and from being around her and her experience, she knows me very well. We have to not bicker and I still get in trouble for not tidying my room! But on the stages we can switch that off and it’s special to be able to do these events with her. The Citroën is a fantastic car. I did some ERC (European Rally Championship) events last year, but I’m still learning with the car. It’s a fantastic package… so far so good. What is the objective for you this season? Do you have a particular strategy for this event? It’s really strong competition and for sure I want to drive as fast as I can. I have a long way to go to be where I want to be, but I have to think consistency and points… and I still want to improve as a driver. Alastair, you return to the DS3 R3, as we saw you compete last year in the Citroën Top Driver programme. What made you decide to take up the Junior WRC challenge? We’re ready for this. We’ve been in Portugal before and we’ve won [our class] on this event before. Last year was our first event with the Citroën, so it’s good to have some experience of the car and the event under our belt. As you do have experience of the car, do you feel you have an advantage? It’s fair to say that we do have an advantage, but I think most of the drivers have been in the car. It’s a great car, really positive and a fast car that’s really receptive and strong. I think it should stick the conditions okay here. You won in Portugal in 2012 in the WRC Academy, what does it take to win here? The roads are very technical. You need a really good set of notes. It’s the most technical rally in the Championship, and you really need your notes to work well. When have 20 or 30 kilometres to drive through, you need to know that everything is going to flow and it has for me so far. You and Molly are both graduates of the WRC Academy. What do you take into these rallies from the programme? The Academy was really good, we got a lot of good advice from there. The rallies this year are slightly longer than we had with the Academy – you really have to play yourself in for these events. And how tough was the recce yesterday? It was tough. I don't think any of us had seen anything like it before – the water was up over the bonnet on some cars. But once one person had got through the water splash then we all had to follow. Thankfully, I think we all got through. Looking back on last year’s performance, what do you feel you could improve this season? Is it the title you’re after? It has to be the title this year. I’ve come close in 2012 and want to come out and go well. Is it good to see a driver like Elfyn [Evans] progressing? Yes, it is. Elfyn and I competed against each other for five years, we were each other’s main rivals. It’s good to see that the opportunity is there if you’re in the right place at the right time. Citroën DS3 R5: A new addition to the family!